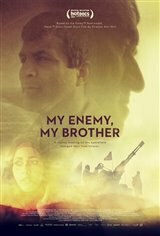 This documentary follows the true story of two former enemies from the Iran-Iraq war: Zahed Haftlang and Najah Aboud. Thirty years ago, Zahed was an Iranian boy who ran away from home to join the army while Najah was a 19-year old Iraqi soldier who left his wife and son to join the fight. When Zahed finds Najah critically injured in a bunker, he decides to risk his own life to save him. Now, the two men embark on a journey to Iran and Iraq for the first time in 20 years.